A smart, quick way to check your Heart Rate Zone? I am an extremely active Apple user and have been for sometime. I use my iPad, iPhone, and now Apple Watch to do many tasks that come up throughout the day from paying bills, checking email, paying for food, relaxing with a game, and connecting with friends and family. In short, these devices we use everyday make our lives (mostly) easier. That is, if you know the right apps, tips, and tricks to making complicated tasks easy or impossible tasks actually possible. The first app I wanted to recommend is an app I found accidentally wandering through my Apple Watch side of the App Store. 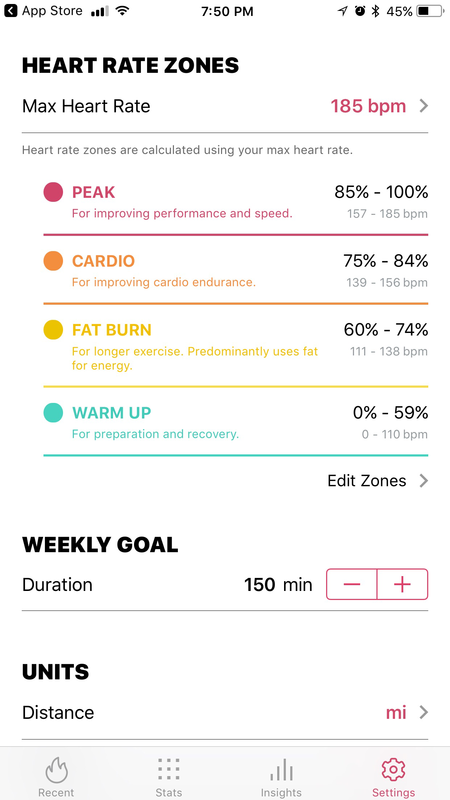 The app is called Zones (http://flaskapp.com/zones/) and the main goal of the app is to provide a look at your intensity level of your cardio workout from the warm up stages to the recovery stage. What makes this app great is that you can either use it on your Apple Watch during a workout to let you see in real time your Beats Per Minute (BPM) and color coded for the heart rate zone you are in or you can check out your run afterwards to see what was going on. 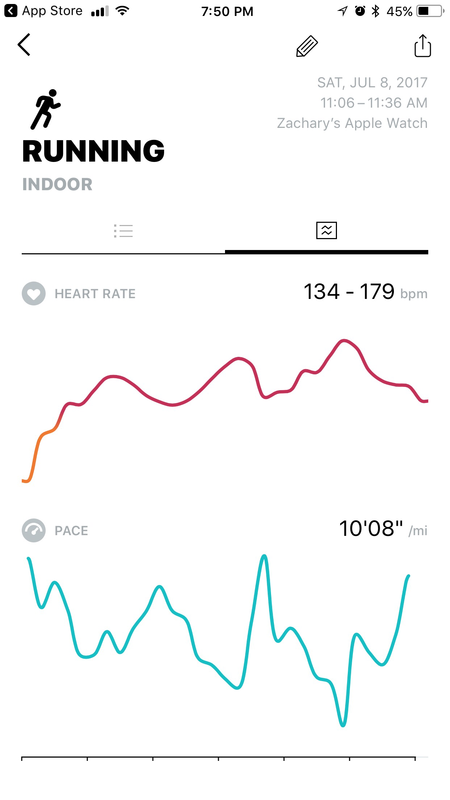 As someone who is vastly out of shape and looking to get back in the groove, watching my heart rate and making sure I am not overworking out is important to prevent injury. This app does a wonderful job at displaying your stats into multiple categories in order to really sink into the nitty gritty. What makes this a useful app and not just a quick try and delete is the fact that Zones is very functional without a single purchase. However, if you do want to customize your heart rate zones for a higher or lower BPM, you must purchase the in app purchase of pro for $4.99. 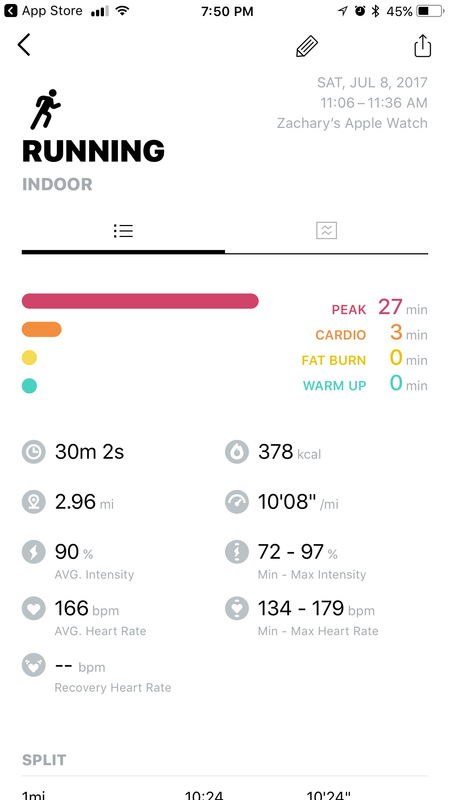 For someone like myself that tends to get wrapped up in the music and over do it, Zones does a wonderful job of keeping me in check and is well worth the look at if you are looking into an app that focuses on BPM and heart rate zones. This app definitely receives a 9 out of 10 and a high recommendation!